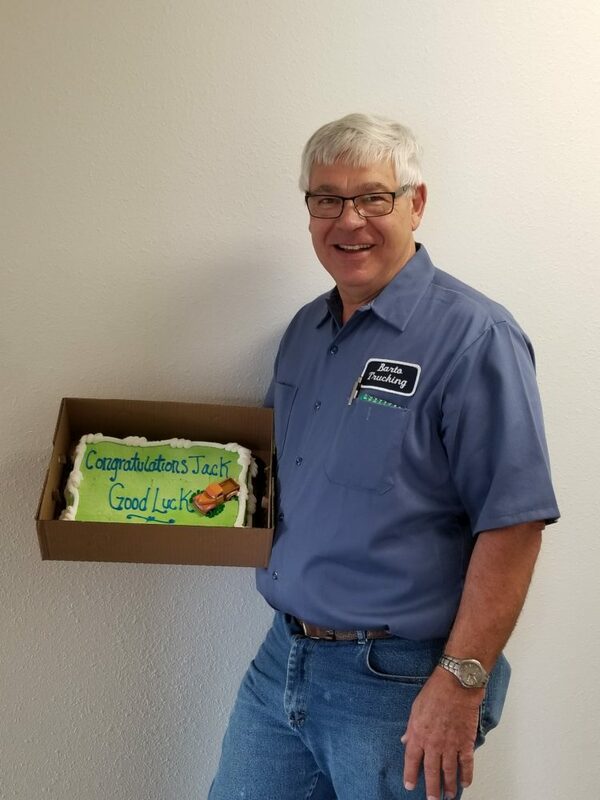 After 7 years of providing Barto and the Liquid Trucking Companies with exceptional service as a full-time driver, Jack Wattier is taking the first step into retirement. In order to send him off and show our appreciation for his years of dedication, we sat down with him to have a quick chat about his love of trucking, his experience with Barto, and his plans for the future. Tell me about your experience with Barto and Liquid Trucking companies. Why did you choose to apply there? I was with another trucking company out of Omaha and the economy was kind of slow. Because of that I was having a hard time keeping up with hours. I asked the manager but he couldn’t give me any guarantees about work going forward. Getting fuel at a truck stop in Norfolk one day, I saw a truck that was also fueling up that said “Drivers Wanted” on the back. It just so happens that I had just gotten my hazmat license around that time. When I gave them a call, they said they were interested and minutes later I had a call from Chris in South Sioux City. Before you know it, I was hauling hazmat materials to and from ethanol plants in Columbus, NE and all around the midwest. I was always home on the weekends but was always out a couple, three nights a week. I never had to worry about being short of work. 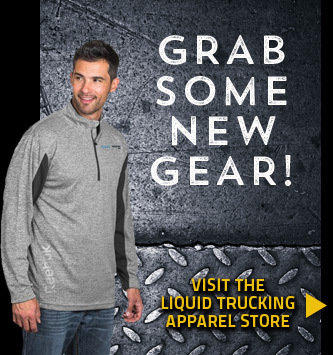 What did you enjoy about the job in general and about Liquid Trucking specifically? The pay was a big factor for me. I was having a hard time, making $600-$700 a week, then all of a sudden I was making $1,100-$1,200 a week. They also paid you for your overnight time, sleep time, which a lot of companies don’t do. Over time with the routine, I gained expertise in the specialist aspects of hazmat hauling. It is very demanding in terms of safety, too, so being a safe driver and an expert in hazmat gave me a certain pride in my work. What are you most proud of from your time there? What I am very very proud of is through my entire employment I never had an accident or safety violation. Never had a speeding ticket or dent on my truck. I was very dependable, even if I had the weekend off they knew they could call me and I would go for them. I am proud of that. I would also get compliments about my work and my being on time and my safety from various customers, which made me proud of my work. I also received some awards from the company in the form of Drive for the Gold points. You can use those for anything but just recently I used some to get a Liquid Trucking coat and I will continue to wear that with pride going forward. With safety, weather was always a major factor. You really had to understand what it would do to you and your truck. Ice, snow, and fog were always major factors. You always worried about whether or not other drivers were texting. The best part about the job was getting out of the truck and knowing you had a satisfied customer and knowing that you were home safe. Tell me about your plans for retirement. Well, we have three different truck dealers around here and I have been interested in helping them move trucks around. I guess I am not ready to be out of the trucking business, even if I won’t be driving full-time anymore. So a part-time job helping one of them deliver their trucks is pending right now, so I’m hopeful that will come through. If not, I’ll hopefully be able to do some part time work for Barto, as well. I won’t be a wallflower or a couch potato, that’s just not me. I’m going to stay in the trucking world.